Wayne and Newtown Square drivers are guaranteed higher-quality used luxury cars for less when shopping for a certified pre-owned Jaguar. 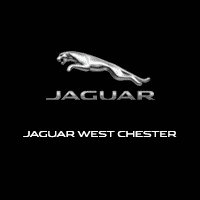 At Jaguar West Chester, we have a variety of CPO models on sale from recent model years, and our dealership has competitive financing deals to make these options even more appealing. Once you’ve found a model that you believe will meet your driving demands, get in touch to schedule a test drive. Clean CARFAX. Corris Gray Metallic 2019 Land Rover Discovery SE 4WD ZF 8-Speed Automatic V6 Supercharged Non-Smoker, Fully Serviced, Passed Safety Inspection, Warranty, 4-Wheel Disc Brakes, 4-Zone Climate Control, 7 Seat Package, ABS brakes, Adaptive Cruise Control, Blind Spot Assist, Brake assist, Car Care Kit (Preferred), Cold Climate Package, Drive Package, Ebony Headlining, Electronic Air Suspension, Electronic Stability Control, Emergency communication system: InControl Protect, Exterior Parking Camera Rear, Four wheel independent suspension, Front anti-roll bar, Front dual zone A/C, Fully automatic headlights, Garage door transmitter: HomeLink, Heated door mirrors, Heated Front & Rear Seats, Heated Steering Wheel, Heated Washer Jets, Heated Windshield, High Speed Emergency Braking, Navigation system: InControl Touch Pro Navigation System, Occupant sensing airbag, Overhead airbag, Panic alarm, Power door mirrors, Power driver seat, Power Liftgate, Power passenger seat, Premium Rear Seat Convenience Pack, Radio: Meridian Sound System (380 Watts), Rear anti-roll bar, Rear fog lights, Remote keyless entry, Security system, SiriusXM Satellite Radio & HD Radio, Smartphone Pack, Speed-sensing steering, Speed-Sensitive Wipers, Split folding rear seat, Spoiler, Tilt/Slide Front Glass Power Sunroof, Traction control, Traffic Sign Recognition & Adaptive Speed Limiter, Wheels: 19 5 Split-Spoke.Recent Arrival! When you choose a certified pre-owned Jaguar model, you not only get luxury for less, but you also have access to several other perks. The Jaguar CPO program promises a limited warranty, 24/7 roadside assistance, and the peace of mind that comes with a vehicle history report. That’s not to mention the fact that your vehicle has been thoroughly vetted in a 165-point inspection process. The vast inventory of CPO Jaguar models at Jaguar West Chester allows you the benefit of choice, too, so there’s no doubt you’ll get a car that perfectly suits you.